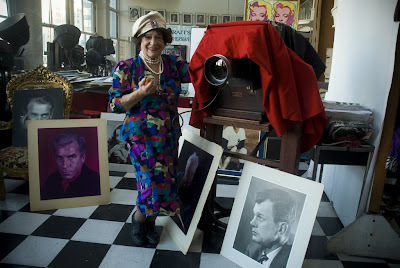 Have you heard about this sprightly 96 year old, Editta Sherman, who lives in an apartment above Carnegie Hall, and who is currently facing eviction? 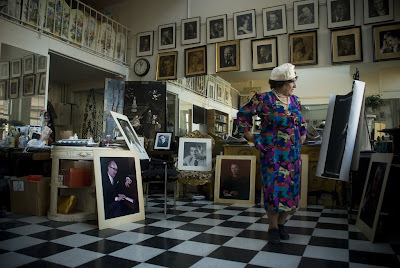 The portrait photographer lives in a space filled with old photos of her subjects, who included Salvador Dali and Marlene Dietrich. Isn't she fabulous? 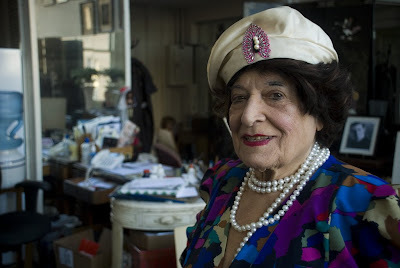 Check out Montague for more photographs and a link to the CNN story about her ongoing tenancy battle. No! I have not heard about that. Thank you because her portraits are amazing. What a great lady! Would be a cool nana to someone.